Trying to keep up with the constant spread of more and more invasive plants can be overwhelming as a landowner. But it is important to do for the health of your wetland, and prioritizing the species and locations you work on can help you be more effective and efficient. Importantly, it can also help prevent burnout. Here are some tips to help you get started. Learn more about the invasive species that you are concerned about and their life cycles. For example, annual and biennial species, like garlic mustard, spread only by seed, so preventing them from seeding is the key to control. Species like Canada thistle and Japanese knotweed (pictured above) reproduce vegetatively, so killing the root system is critical. Pay attention to when your invasive plants are flowering and when they are seeding — this will help you to know the best time and method to control them. Assess the potential impacts of each of the species you find. Obvious targets for control will be invasive species like large buckthorn shrubs that shade out and kill everything below them, while it may be more difficult to see the impacts of garlic mustard slowly displacing wildflowers. There are many resources, such as Invasive Plants Association of Wisconsin and Southeastern Wisconsin Invasive Species Consortium Inc, that explain problems caused by each species and provide control recommendations. Learn about the various techniques and effort required to control each invasive species found on your property. Some are relatively easy to control by hand-pulling, mowing, or a few herbicide applications. Most require a combination of different techniques, such as cutting shrubs and applying herbicide to the cut stumps. A few species, such as reed canary grass, are very difficult to control without extensive effort over many years. In more challenging cases such as these, experiment on small areas to see what works for you before expending large amounts of energy on those species. Use the control methods that meet your needs and are most efficient. Some techniques, such as prescribed fire or applying pesticides in wet areas, require trained personnel, careful planning, and site preparation. Adapted from ‘Prioritizing Invasive Plant Control’ by Kelly Kearns, published in WDNR’s Natural Heritage newsletter. 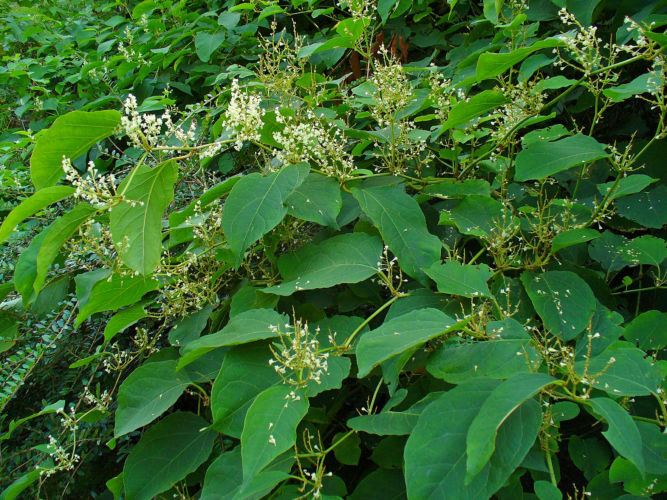 Photo of Japanese Knotweed by H. Zell. 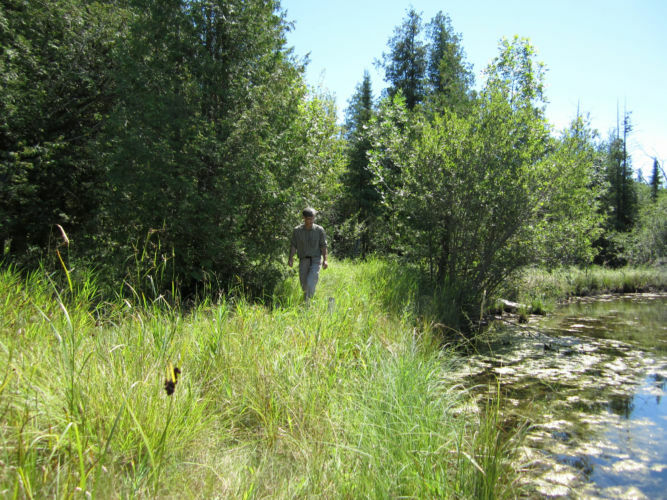 Prioritizing Invasive Plant Control Part III Goal setting and documenting your land can be valuable assets in your fight against invasive plants. Resources for landowners: invasive species Online resources and publications about invasive species (scroll down and click the “invasive species” tab).